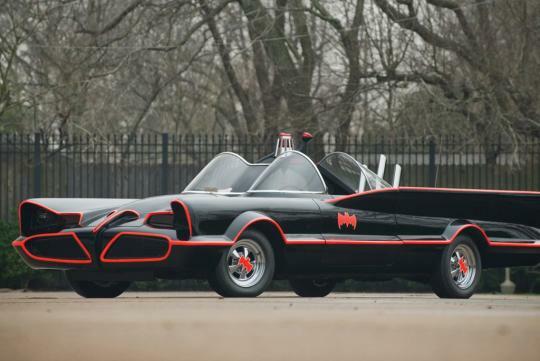 Barrett-Jackson claimed to be the World's Greatest Collector Car Auctions have announced a special auction item dear to comic fans and fans of Adam West. Barrett-Jackson will auction away one of the most iconic tv cars of all time at its 42nd annual Scottsdale auction in January � the original 1966 'Adam West' Batmobile. 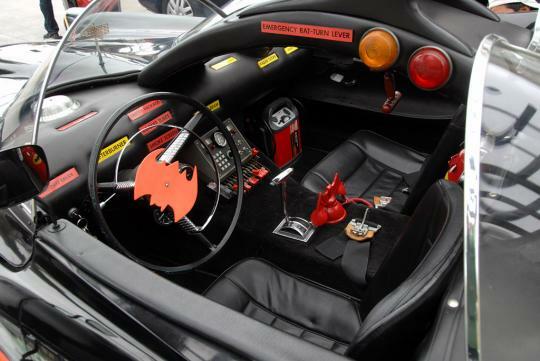 Built atop a one and only 1955 Lincoln Futura concept car, the 1966 Batmobile was heavily modified by legendary customizer George Barris to function as Batman's ride in the original (and light-hearted) live action TV series � Batman. 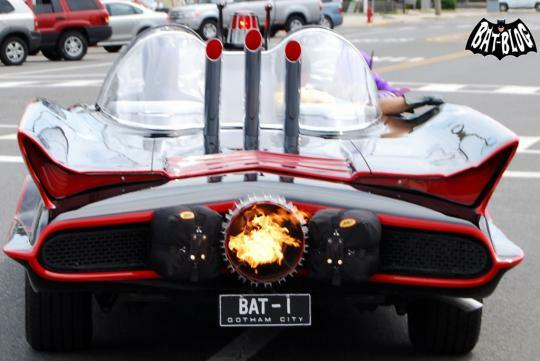 It also made an appearance in the movie adaptation starring the legendary Adam West. The car will cross the auction block on Saturday, January 19th. 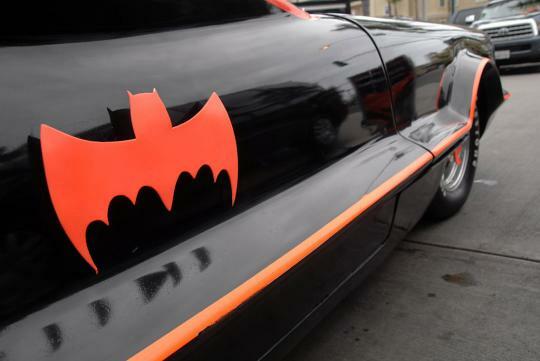 Still looking as fresh as the Batmobile has been a part of Barris' personal collection since he first bought it from the Ford Motor Company - for a dollar in 1965. The one-off 1955 Lincoln Futura concept was originally created by Ford and a design team at the Lincoln Styling Department. The 19-foot long, bubble-roofed coupe was hand-built in 1954 in Italy, and unveiled in 1955 at the Chicago Auto Show. The car featured technologies ahead of its time with instruments housed in the steering wheel, push-button transmission, exterior microphones that could pick up and transmit the sounds of traffic in the cabin (no idea why someone wants this) among a host of other innovative devices. The bespoke car was a learning prototype for Ford, from which it could learn about new technologies and apply to future production automobiles. In 1959, the Futura was featured in the film, It Started with a Kiss, starring Debbie Reynolds and Glenn Ford. 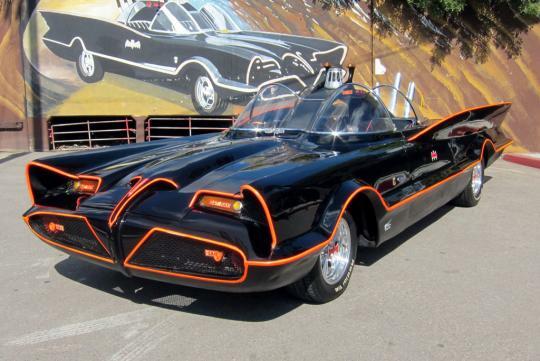 In late 1965, 20th Century Fox Television and Greenway Productions requested Barris to produce a Batmobile for the upcoming TV series � within 15 days and a modest $15,000 budget. 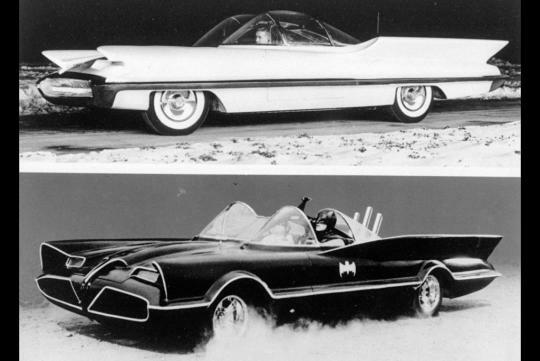 With tight deadlines and budget, Barris decided to transform the Lincoln Futura concept car into the iconic and if I am not wrong, probably the first 'live' Batmobile (besides a 1950-ish black and white series that had a normal Cadillac � Just like in the comics). 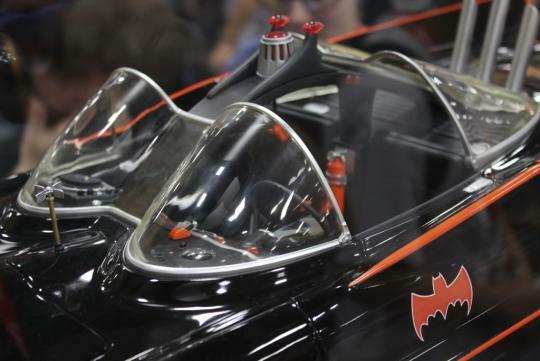 "The 1966 Batmobile by George Barris is one of the most famous Hollywood cars in history and it has become a true icon that has been carried from generation to generation of Batmobiles to follow," said Craig Jackson, Chairman and CEO of Barrett-Jackson. 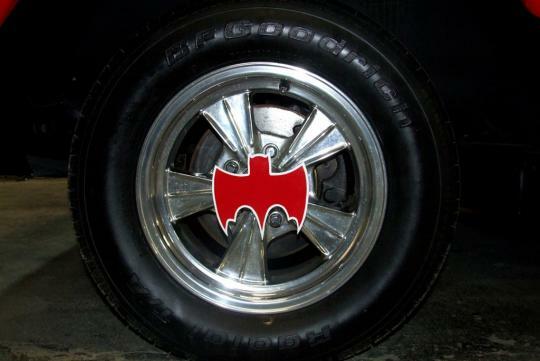 "This vehicle not only marks the significant Bat logo that sits on the middle of its door, but a time in television history where they defied the odds of making a car the real star of the show. It revolutionized an entire industry that followed in its footsteps and we couldn't be prouder to have it cross our block in Scottsdale as it goes up for sale for the very first time." The car together with other Batmobiles over the years are exclusively featured in Christopher Nolan's Batmobile Documentary - a bonus feature on The Dark Knight Rises DVD/Blu-Ray.